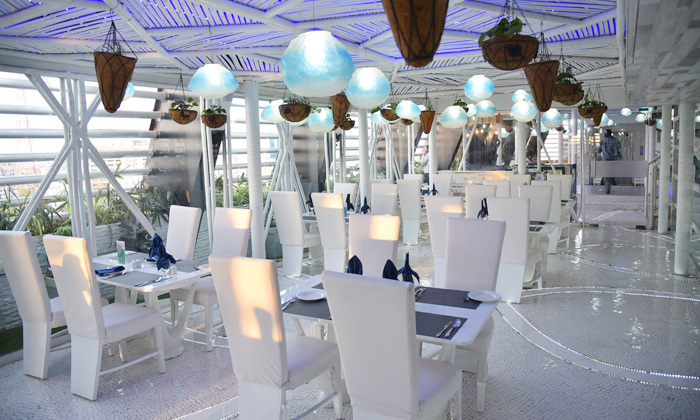 A beautiful all day diner with an elegant setup, serving freshly prepared North Indian, Italian, Mexican and Continental specialties, Blue Rooftop Cafe Restaurant Bistro is as much of a visual delight as a culinary one. This contemporary restaurant has an extensive menu with customisations available for those who have specific preferences. The restaurant does some gorgeous a-la-carte preparations that must not be missed! The chic interiors, the rooftop ambience and the at-your-command service redefine luxury dining and Blue Rooftop Cafe Restaurant Bistro is one of those places where you can experience truly fine, fine dining in Ahmedabad.